The Maryland Department of Natural Resources announced the 2018-2019 public oyster harvest season will open Oct. 1 and run through March 31, 2019. Opening month is reserved for divers and watermen using patent and shaft tongs, as well as recreational oystering. During the season, recreational oyster harvesting is open to any Maryland resident and does not require a license. Each harvester may take up to one bushel of oysters per day as long as they are only for personal use. Recreational oyster harvesting is only permitted from sunrise to 3 p.m. weekdays and from sunrise to noon Saturdays. Commercial watermen may work Monday through Friday from sunrise to 3 p.m. in October, and again from January through March. In November and December oysters may be harvested from sunrise to sunset. The daily limit is 15 bushels per person, not to exceed 30 bushels per boat for divers and tongers. The minimum size for all harvested oysters is 3 inches. The department recommends all oyster harvesters check the Commercial Shellfish Harvester Closure Area Information Portal, which enables them to access maps of aquaculture lease coordinates and locations. Oyster season for dredging and skipjacks opens Nov. 1 in designated areas of Calvert, Dorchester, Somerset, St. Mary’s, Talbot and Wicomico counties. For power dredging the limit is 12 bushels per person, not to exceed 24 bushels per boat. 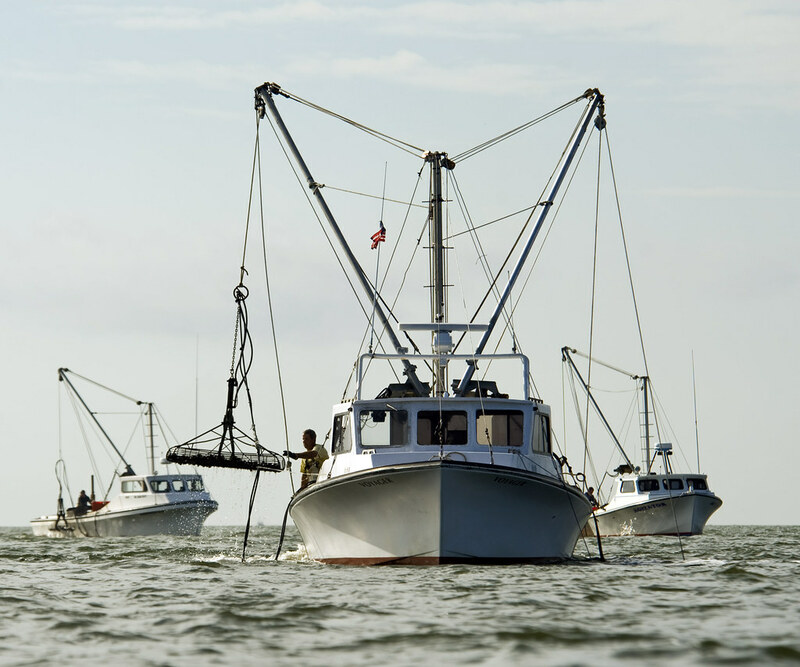 During the 2017-2018 oyster season, 940 licensed watermen harvested 181,329 bushels with a dockside value of roughly $8.6 million. Funding generated through the state’s license surcharge and oyster tax revenue and well as additional funding from the Maryland Department of Transportation helps the department replenish oyster seed and shell plantings annually.